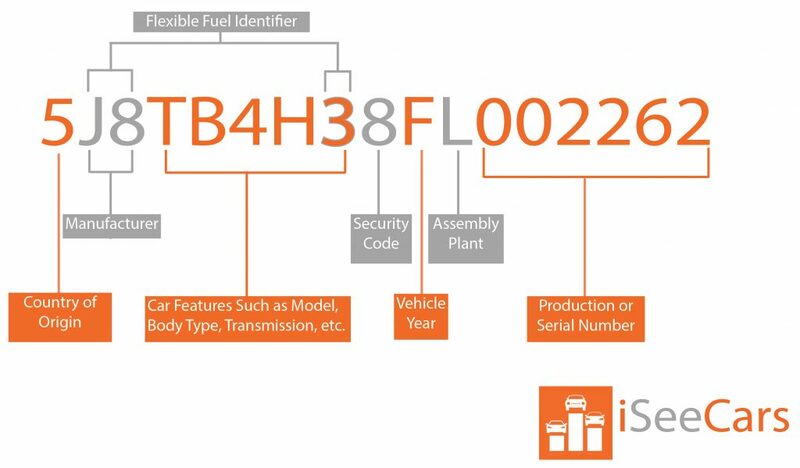 A VIN (vehicle identification number) should contain only letters and numbers. For model years 1981 and later, all VINs are exactly 17 characters long, and the letters 'i', 'o' and 'q' are not used. Our mission is to help the consumer get better educated about each vehicle before buying it. We know buying a used car is arduous and frustrating (we've been through it many times) and we believe having the right information and data helps make the process a bit less difficult and helps you get a better price. The reports are Powered by iSeeCars' renowned data and research which have been featured in many major publications such as Forbes, Fortune, New York Times, Wall Street Journal, Automotive News, Consumer Reports, and CNBC. Price Analysis - estimation of how much we think is a fair value for the car based on analyzing similar cars for sale or cars sold in the same local area. Price History - a log of price changes and when each price was changed. Listing History - a record of the dates and places the car was historically listed for sale. Condition - analysis of mileage, positives and negatives about the vehicle, and other resources like vehicle history, theft record, and recalls. Dealer Scorecard - comparison of the dealer with other dealers in terms of price competitiveness, responsiveness and transparency. Projected Depreciation - estimation of how much the car will depreciate over 1, 2 and 3 years and in comparison with similar cars. Best Time to Buy (and Sell) - as with houses, cars also exhibit seasonal fluctuations. We analyze when or what months may get you a better price. "Excellent job - BOTH as a Company, AND as a Service to the "Buying Public". Keep up the good work in informing prospective Buyers !!!" "Excellent information. Great details. Thanks"
"Very comprehensive and concise information"
"Great, informative, clear and concise information. Thank you very much." VIN stands for “vehicle identification number,” and it is the unique code assigned by manufacturers for a specific automobile. A VIN is the automotive equivalent of a social security number; no two vehicles in operation have the same VIN. Since 1981, the National Highway Traffic Safety Administration (NHTSA) standardized how VINs were assigned. Under the NHTSA standard, a VIN is composed of 17 characters (consisting of numbers and letters) with each set of numbers having a specific meaning. A VIN will never include the letters I, O, and Q to avoid being mistaken for 1 and 0. Where Can I Locate a Car’s VIN? The VIN is most commonly located on the dashboard on the driver's side of the vehicle. It can be viewed by standing outside the car and looking on the corner of the dashboard where it meets the windshield. If the VIN cannot be found there, it can be found by opening the driver's side door and looking on the inside of the door that can’t be viewed when it is shut. Why is Checking a VIN important? If you’re considering buying a used car, it’s important to check the vehicle’s VIN to determine if a used car is suspect or not. If the advertised VIN number does not match up with the make and model of the advertised vehicle, it can indicate a potential scam. A standard VIN check can also reveal important vehicle history information including if it has been stolen. How Do I Perform a VIN Check? There are a number of websites that upon entering a vehicle’s VIN allow you to access free VIN checks that provide basic vehicle history information such as recalls, complaints, odometer readings, and the current title state. The iSeeCars free VIN Report includes this VIN history information while also providing a detailed pre-purchase analysis not found by standard VIN checks or VIN lookup tools. What Does the iSeeCars VIN Report Provide and How Is It Different than Other Reports? Price Analysis – Estimates the car’s fair value based on the local market and maps similar cars for sale within the area to help users see if there are better deals. Selling History – Provides records of price changes and history of the places where the car was previously listed and sold. Condition – analysis of mileage, positives and negatives about the vehicle, and other resources like theft record, recalls and vehicle history (when provided by the dealer). Dealer Scorecard – compares dealers’ price competitiveness, responsiveness and transparency. Projected Depreciation - estimates how much the car will depreciate over 1, 3 and 5 years and in comparison with similar cars. Supply Analysis –Tells users the number of similar vehicles for sale within the local area. A car with many similar cars could give shoppers bargaining power. Best Time to Buy (and Sell) – as with houses, cars also exhibit seasonal fluctuations. We analyze when or what months may get you a better price. Theft Record – Checks if a vehicle has been reported as stolen. Open Recall – Checks if there are any open recalls that haven’t been fixed. Title/Lien Info – Provides title/lien info free of charge depending on the state DMV. The iSeeCars VIN Report combines vehicle history information with a detailed market analysis to provide used car buyers with all the information they need in one place to help them make informed purchasing decisions. How Do I Access the Free iSeeCars VIN Report? The report can be accessed via the iSeeCars VIN Report app, available for iOS and Android, which allows users to instantly view the comprehensive report after scanning the vehicle’s VIN barcode. 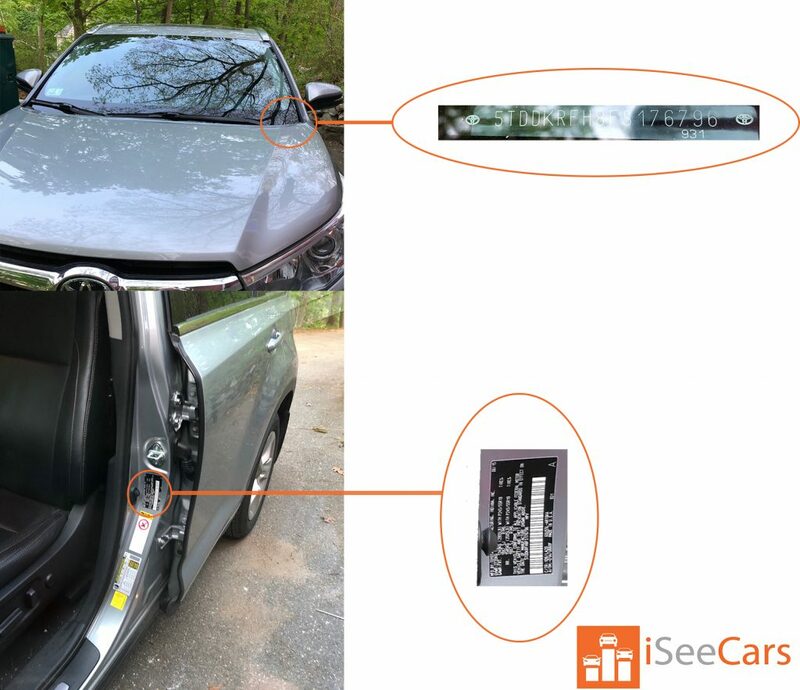 (If the VIN located on the windshield does not have a barcode, check the VIN located inside the driver's side door.) It can also be viewed by entering a VIN number at http://www.iseecars.com/vin, by clicking the “Full Report” button on cars listed on iSeeCars.com, or via the Google Chrome extension, which automatically generates an iSeeCars VIN Report for each VIN it detects on any website where you’re browsing a car.